Everybody has their top three essentials that they grab before heading out the door. For us, it is our beverage of choice, which happens to be coffee. We know water is important but coffee is clutch when getting a bunch of errands checked off your list first thing in the morning. 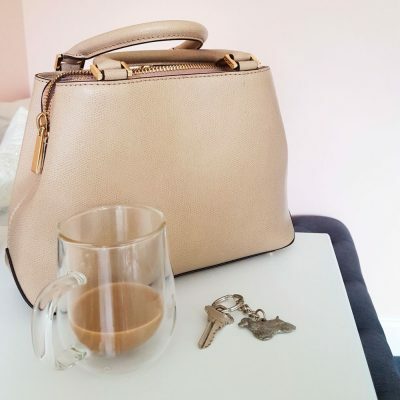 Second is our handbag, which of course we’ll throw in our phone, favorite lip gloss, and wallet (all the B Team essentials). And finally, we can’t leave the house without these: our keys. What are your top 3 necessities that you make sure you have in your hand before running out the door? We must admit, keys aren’t always the most flattering accessory with any outfit. 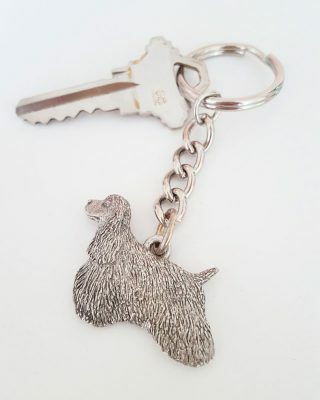 But at least you can make them look cute by attaching one of our dog keychains. Don’t you hate when you find a cute keychain at a souvenir store and they don’t have your name or the correct spelling of your name? Major bummer! Oh well, looks like you’re just too unique to be appreciated by a keychain ;-). But the good news is we have over 128 breeds available so the chances that you are able to find your breed keychain is very high! The best thing about these keychains? They are pewter but silver in color – which makes them easy to match with any set of keys, purse or jewelry. We hate keychains, or any accessory for that matter, that is SO adorably cute but just not the right color to match your outfit. Who wants to put a mustard yellow keychain on their beige Michael Kors bag? Not us! Silver basically goes with everything. Plus, you can pair it with any other color metals (thank you mixed-metals trend!). At under $10, you can’t go wrong with buying one of our keychains for your “bestie” and grabbing one for yourself too. One for you, one for me! Isn’t that the best type of shopping? What’s even better is that you can mix and match these keychains! Buy all your dog breeds and let them hang out on your key set all together. Our friend has a Labradoodle and a Goldendoodle so she got one of each (yes, we have mixed breeds available too!). Our grandma has a cat but she is always an avid angel collector. We gifted her our cat pewter keychain (don’t tell the dogs we show some cat love) and an angel pewter keychain. We also have an offering of wildlife keychains, as well as popular items like angels, tractors, and mermaids. These will be the key to any heart.